ALPHA MEDICAL TRANSPORTATION HAS A FLEET OF FULLY EQUIPPED MEDICARS, WHEELCHAIR ACCESSIBLE VANS, AND MINIBUSSES, ALL READY TO ASSIST YOU IN YOUR EVERY-DAY LIFE, AT THE BEST PRICES. ALL OUR VEHICLES ARE EQUIPPED AND DESIGNED IN A WAY TO ENSURE EASY BOARDING OF WHEELCHAIR PASSENGERS AND COMFORTABLE WHEELCHAIR TRANSPORTATION NEAR MY LOCATION ACROSS CHICAGO. If you’ve come to a certain age or have special needs, you think you have to give up on your outings altogether, you may want to reconsider. 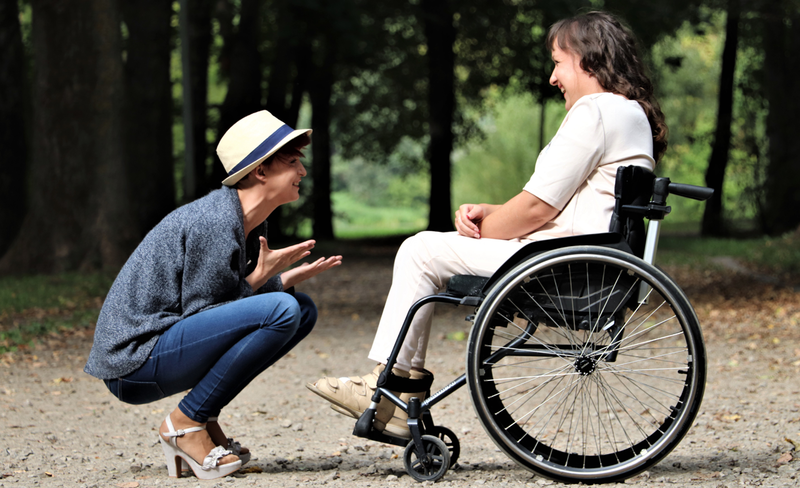 With a little help of Alpha Medical Transportation awesome employees when it comes to non-emergency medical transportation near Chicago – there’s nothing stopping you on your way to become an active social butterfly! So what are you waiting for? Get your calendar out and book your self the closest medicar ride in Chicago at the most cost-effective prices you’ll ever see! Why Opt for Alpha Medical Transportation When It Comes to Chicago Accessible Van Rentals Nearby? Alpha Medical Transportation is the nearest non-emergency medical transporter in Chicago. And the reason for that is simple. With extensive experience, full equipment, and expertise to provide the most comfortable transportation to disabled vets, people with special needs and elderly people, this company wins customer’s hearts over and over again. AMT’s Social Outings Transportation Service was designed to help you share special moments with your family and friends, without a second thought. So let us take you to the event venue and then get you back home safely and comfortably. Where Can I Find Comfortable Assisted Transportation Potion near Me in Chicago? call 847.478.0110! Hire us for your next wheelchair friendly transfer to airport or wheelchair accessible ride to business meeting anywhere in the wider Chicago area, and let’s hit the road. Alpha Medical Transportation team is fully licensed and highly trained to look after people with various medical requirements and go out of their way to make sure they travel in comfort and maintain an active life with the finest non-emergency medical transportation Service close to you. With Alpha Medical Transportation leading the way, you don’t ever miss a thing!